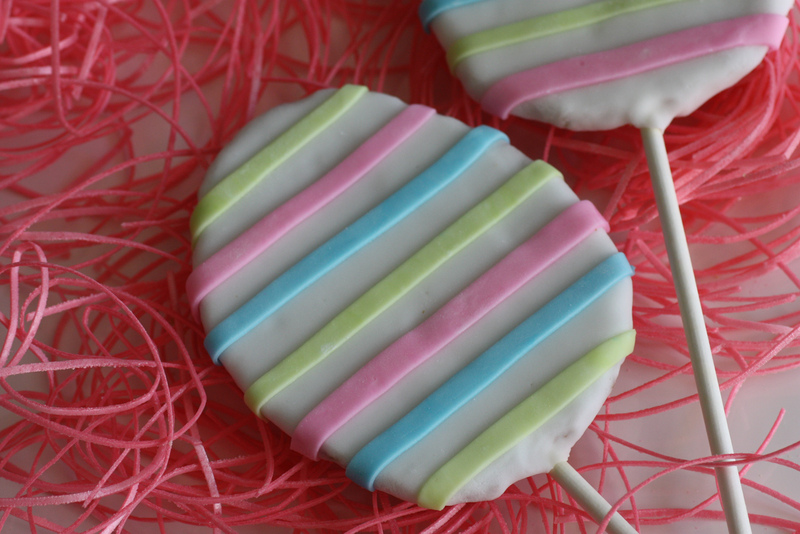 I love cookie pops, so I thought I'd try my hand at Easter egg cookie pops in cute pastel colors. I even used fondant (which is like edible Play Doh - so fun!) and the whole thing was much easier than I thought it would be. First I rolled out sugar cookie dough until it was about 1/4 inch thick (you want it on the thick side so you can insert your sticks). Here's our fantastic sugar cookie recipe if you want homemade dough. Otherwise you can use store bought. I then used this Easter egg shaped cookie cutter and cut out my eggs. 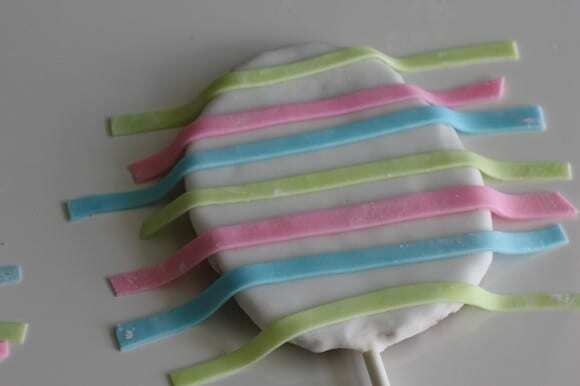 Using these 11.75" lollipop sticks, I carefully inserted them into my cut out eggs until they were about half-way up the egg. I baked my cookies until they were nice and crisp, so they would stand up as pops. Since the cookies spread when baking, while they were still warm out of the oven, I trimmed the edges to make them more in the shape of eggs. 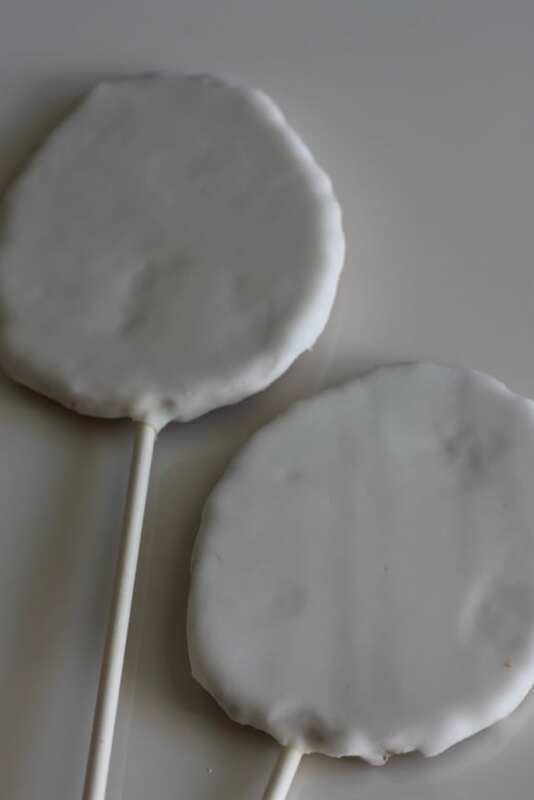 I rolled out my white fondant until it was about 1/8 inch thick, used my cookie to trace an egg shape, but left 1/4 inch extra on each side for wrapping. 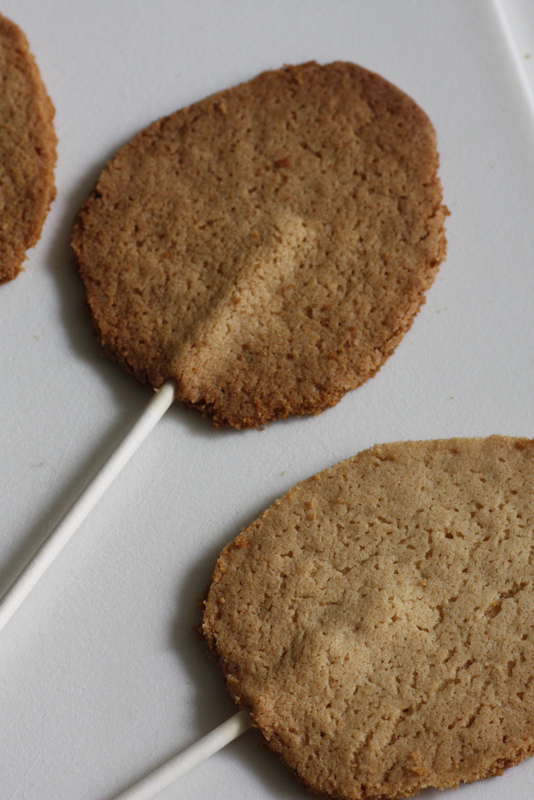 Then I carefully wrapped them onto the flat side of the cookie pop. 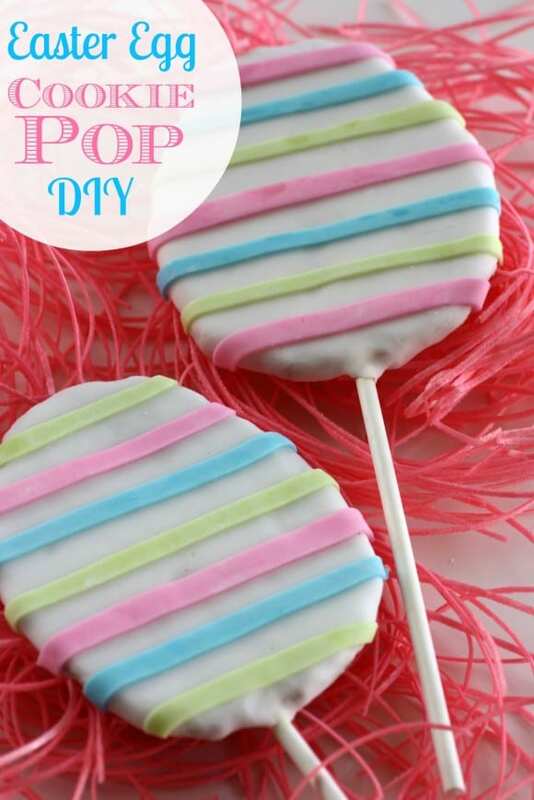 You can use a light layer of white frosting as glue. I only wrapped one side, but feel free to wrap both. 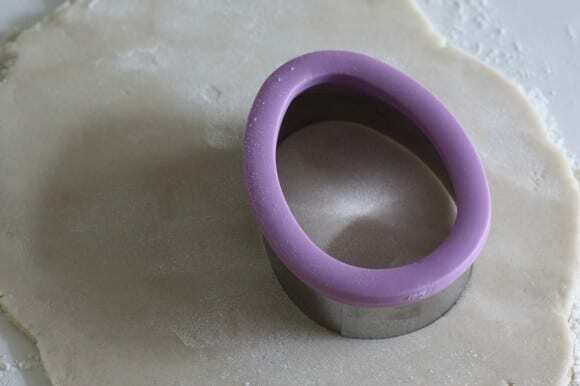 I rolled out my colored fondant and using a pizza cutter, cut out strips. Using a dab of water to the back of the strip, I attach them to my pop. I trimmed the edges and voila! Here I've set them out on pink edible grass to display, my coolest find this spring! For more Easter inspiration, check out all these great Easter parties on our site and all our free printables for Easter.